We are now only a couple of hours away from Google introducing us to the Pixel and Pixel XL, two phones that will be branded as “made by Google.” The event will likely also feature Google Home, Google WiFi, the Chromecast Ultra, and Google’s own Daydream headset, but phones are the headliner and we have even more to talk about in that regard. Last night, Verizon joined in on the early-outing of each by posting up not-fully-realized pages to their ecomm site. What did we learn that’s new? 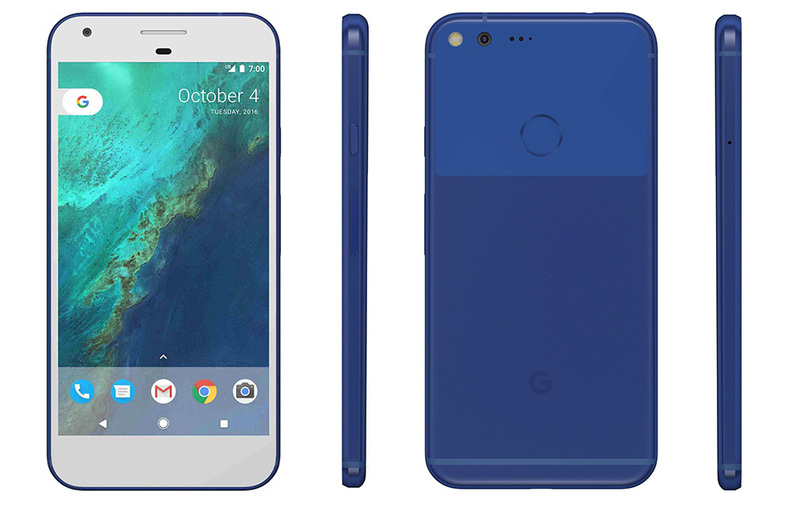 For one, we now know what the blue version looks like (pictured above). Hot or nah? I kind of like it, even if it is a bit Smurfy. Oh, and the silver and white model showed up in high-res imagery as well (see below). It’s clean too. Outside of the new pictures, the Verizon site listed some odd features that were either placeholders that an intern was having fun with, or we should be on the lookout for Google to announce “Google Magic” today. Yeah, it actually says “Google Magic” is a feature. I would attempt to guess at what that might be (the name of Pixel live support? ), but Verizon also listed “Productivity” as a feature. No, that’s not a real feature, Verizon. The listings show 32GB and 128GB storage options, the pictures do not feature any Verizon logos, and we still don’t have pricing, outside of the leak from weeks ago suggesting $650 for the regular Pixel. 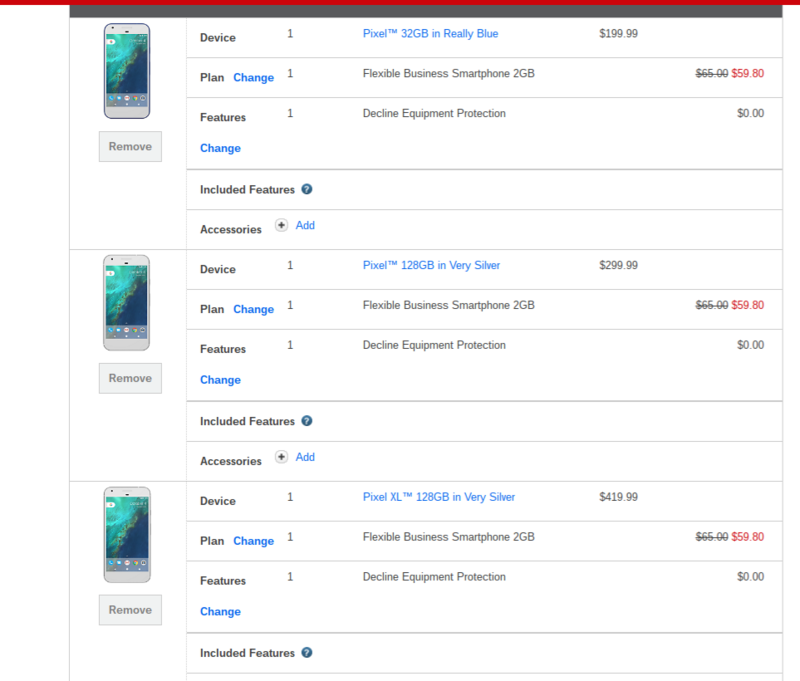 UPDATE: A reddit user seems to have been able to add the phones to a cart that showed on-contract pricing. If correct, the Pixel 32GB will be $199 and the Pixel 128GB will be $299. 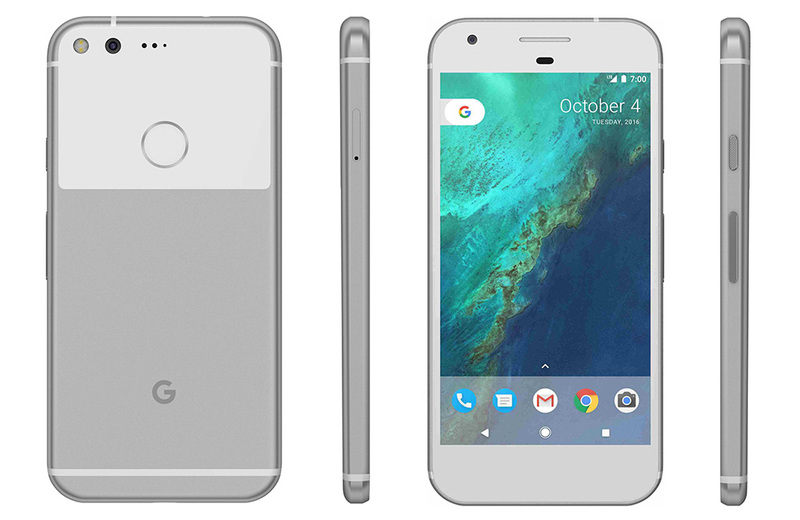 The Pixel XL with 128GB storage could be $419 on-contract. Cheers Josh, Nathaniel, and Jigga_Z!